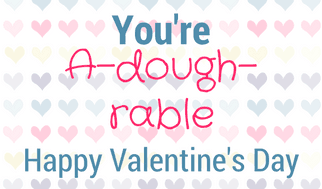 This You’re A-dough-rable Kids Printable Valentine is perfect for a preschool or Kindergarten class. 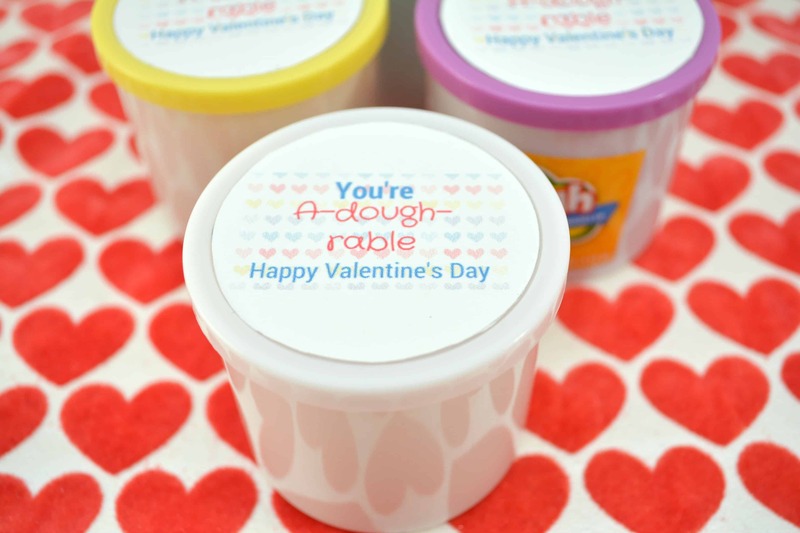 There are so many cute Valentine’s Day kids ideas but I adore— er– a’dough this Play dough printable. My daughter LOVES play-doh and when choosing her class Valentine, she was excited to give each friend in her class a small container to play with as part of her Valentine. There are fun ideas for all ages. You’ll love our Valentine for Writers, Valentine for Baseball Fans and our Valentines fruit cup idea. 1. 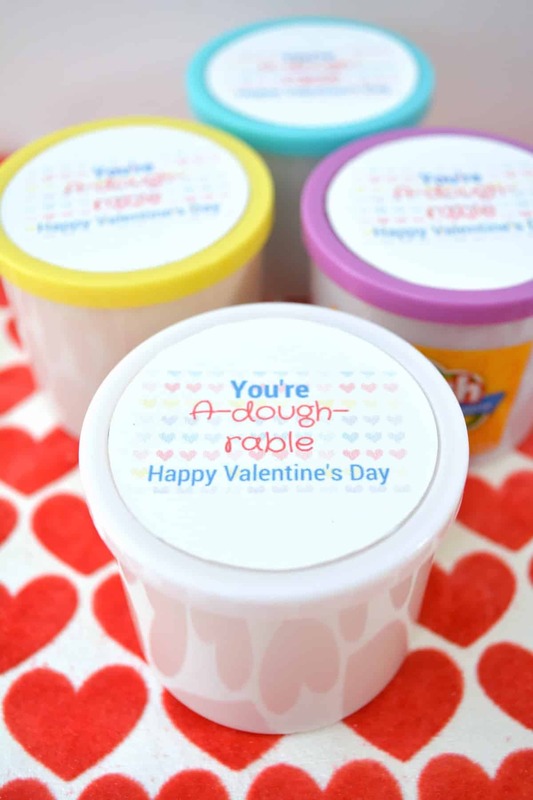 Cut a circle around each Valentine on the “You’re A-dough- rable” Valentine’s printable. I recommend using the lid of the small playdough containers to trace the circle and then just cut them a little bit smaller. You want each Valentine to fit inside the lid of the playdough containers.2. 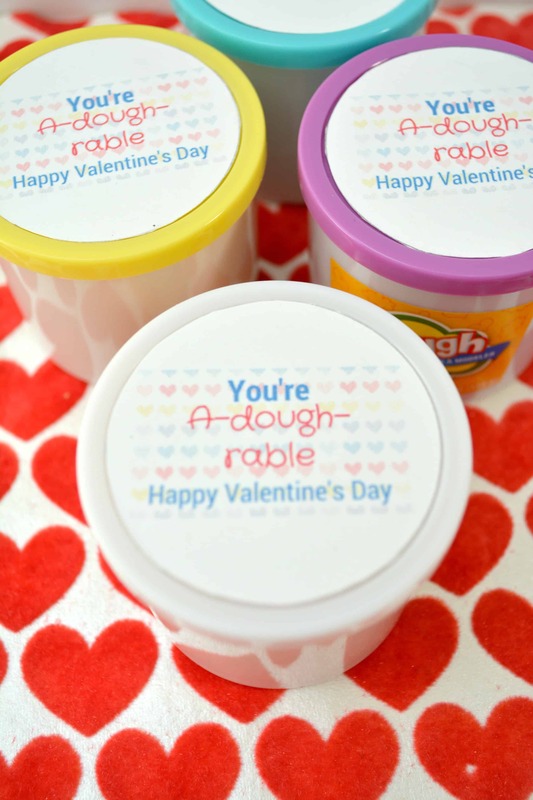 Using double sided sticky tape and attach one Valentine to the center of the lid of each playdough container. 3. You can further decorate the containers with ribbons and other craft materials if you like. There is also room on the top and bottom of each circle if you want to write who the kids Valentine is FOR and who it is FROM.